A village in Cornwall is thrown into turmoil after a young girl falls from a train to her death. Was this an accident? Or murder? The mystery deepens when clues link the girl to a double homicide committed ten years earlier. Braddon's sensational novel takes us to the estates of aristocrats, the haunts of tabloid writers, the homes of Bohemian artists, and the dark alleyways of Paris. 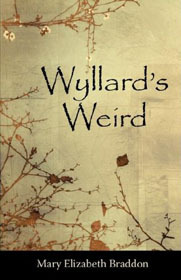 Braddon, one of Victorian England's best-selling novelists, is at the height of her powers in Wyllard's Weird. The novel shakes the foundations of 19th-century social order as it questions the sanctity of marriage and exposes the vices hidden beneath masks of gentility. First published in 1885, Wyllard's Weird has been for too long either out of print or available only in expensive facsimile editions. The novel holds an important place in literary history as it forecasts the appearance of Dr. Jekyll and Mr. Hyde in 1886 and Sherlock Holmes in 1887. 376 pages. In 1762, three years before Horace Walpole's The Castle of Otranto, Thomas Leland published Longsword, a medieval romance filled with mystery, dark dungeons, shipwrecks, abducted damsels, evil monks, and heartless villains. 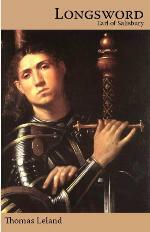 Longsword has long deserved its rightful place at the beginning of any study of Gothic literature, but until now it has been available only in expensive hardcover and facsimile editions. The Whitlock Publishing edition features an accurate first-edition text as well as an introduction, notes, bibliography and contemporary reviews that situate the work within its historical, literary, and critical contexts. After losing a petty argument to the local vicar, minor English noble and twenty-something Geoffry Wildgoose reads too much Methodist literature and decides to become an itinerant preacher. Keeping his intentions secret from even his family, he recruits his working-class neighbor, Jeremiah Tugwell, and sets off on a journey to save souls and gain fame. Along the way, he meets old friends, pious converts, frivolous society types, the beautiful and sensible Miss Julia Townsend, and even the Reverends George Whitefield and John Wesley themselves! But the life of an itinerant preacher is not an easy one: Wildgoose and his intrepid companion must survive persecution, explosions, and involuntary sea voyages while trying to save mankind. Are they up to the task? This new edition of Graves’ novel includes extensive explanatory notes, timelines of Graves’ life and publishing history, and an introduction on the novel’s literary and historical contexts. 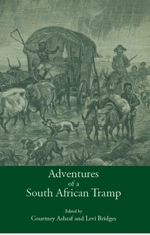 Published here for the first time, The Adventures of a South African Tramp records the travels of a British adventurer as he makes his way through both the wilds and towns of South Africa in the early 1870s. A keen observer of human nature, Skilbeck documents the tensions and friendships between the African, Asian, and European inhabitants of this dynamic part of the world. Something is wrong in Danesbury House. Its walls are sturdy, its interior is well appointed, yet the ground it is built upon is soaked in alcohol. This 1860 award-winning novel traces forty years of addictions, insanity, forgery, and death--hardly the typical Victorian fare. Yet this is no typical novel. 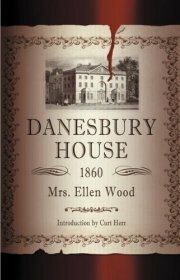 A best seller upon its publication, Danesbury House became the Valley of the Dolls for Victorian readers. 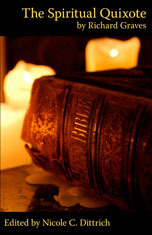 Its sensational subject and description of addictions made it one of the most popular temperance novels of all time. This new edition features an introduction by Curt Herr, assistant professor of English at Kutztown University, and appendices on the cultural and literary contexts of the novel. 298 pages. From the nuclear devastation of Chernobyl to the haunted shores of Bali, traversing the globe has never been such a nightmare. Travel with ghost hunters as they explore the ruins of Auschwitz, or join a man whose past literally haunts him. Take a cruise on a haunted ship, or descend into madness in the American South. 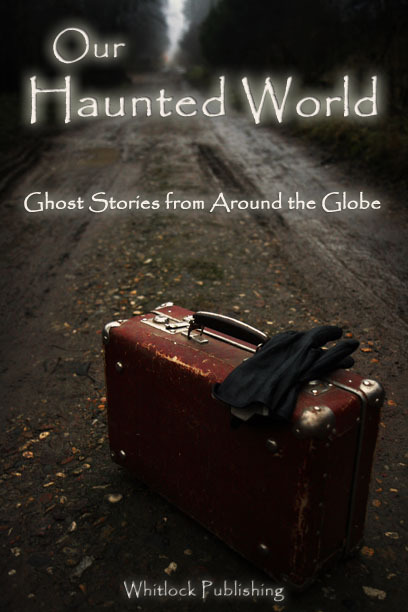 This chilling journey to the world's most haunted places will make you think twice before reaching for your passport. 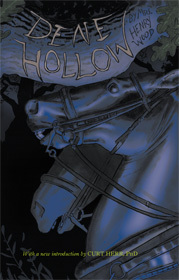 Ellen Wood's supernatural 1871 best-seller follows three generations of the Clanwaring family, their sprawling estate, Beechhurst Dene, and the cursed road it resides on, the haunted Dene Hollow. Her tale is a rich tapestry of Victorian characters from wealthy estate owners in their pampered parlors, to the servants whispering secrets below the stairs. Inn keepers and thieves, landowners and liars, Generals and drunks, cross class lovers and a ghost-seeing servant--all who travel through the dark glen of Dene Hollow will find their lives forever changed. Before there was J.K. Rowling, before there was Anne Rice, there was Mrs. Henry Wood, the queen of Victorian best-sellers. Curt Herr, Ph.D., teaches Victorian Sensation fiction at Kutztown University. He specializes in overlooked, best-selling Victorian novelists and has written critical editions of the works of Mrs. Henry Wood, Marie Corelli, and Elizabeth Bonhote. 480 pages.